There are more than 100 new ships on the global orderbook, and all will need to be serviced and provisioned efficiently. Suppliers will need to work more collaboratively with their counterparts from the cruise enterprise to enable the supply chain adequately. 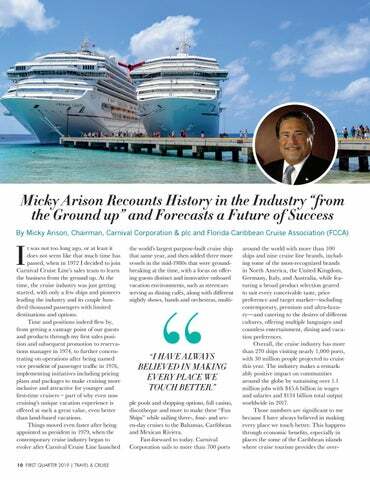 Suppliers to the cruise industry require greater capabilities so that they may service the complex requirements of the expanding geographically-global fleet and its supply chain. Continual innovations in culinary products and processes are of high priority, as the lines strive to meet the ever growing demands of their guests. 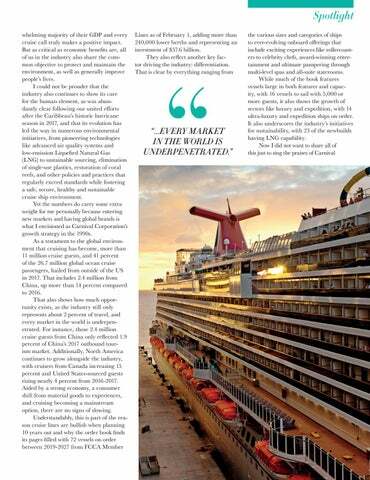 Suppliers need to ensure that their products and services are in-line with the sustainability initiatives being driven by the cruise enterprise. “I’m delighted with the great energy and participation of everyone at this first event for this new community,” said Bo Nylandsted Larsen, CLIA’s senior vice president of strategic partnerships. “There was a great spirit of collaboration, and everyone took time to share ideas with colleagues, old and new. 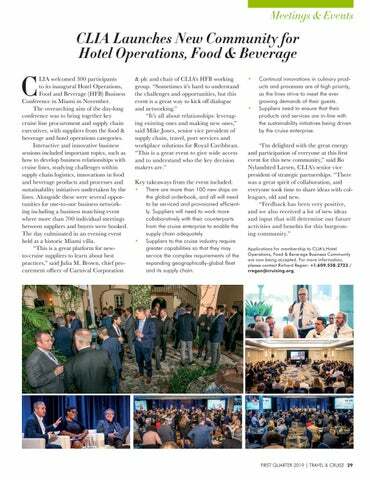 “Feedback has been very positive, and we also received a lot of new ideas and input that will determine our future activities and benefits for this burgeoning community.” Applications for membership to CLIA’s Hotel Operations, Food & Beverage Business Community are now being accepted. For more information, please contact Richard Regan: +1.609.558.2723 / rregan@cruising.org.